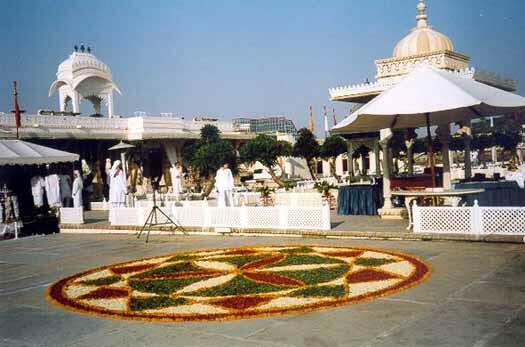 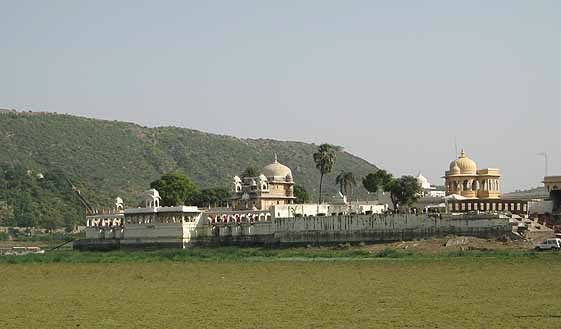 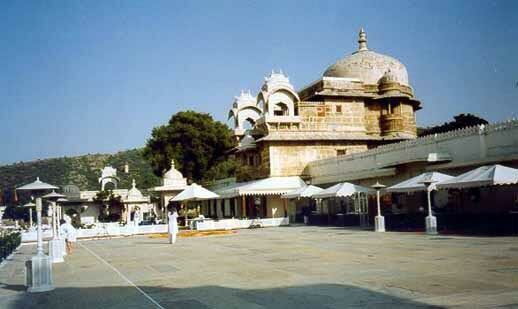 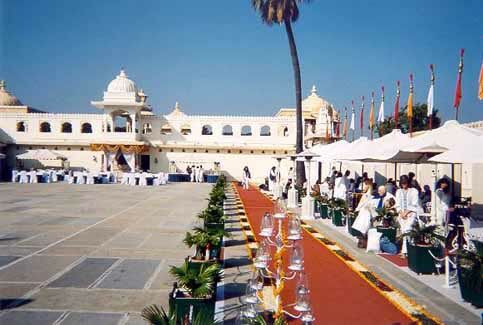 Jagmandir Palace is an island in a sea of grass. 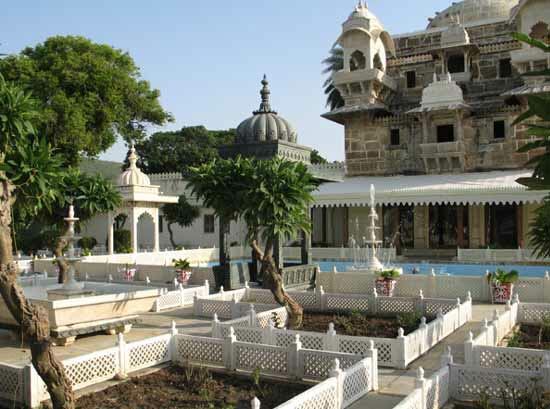 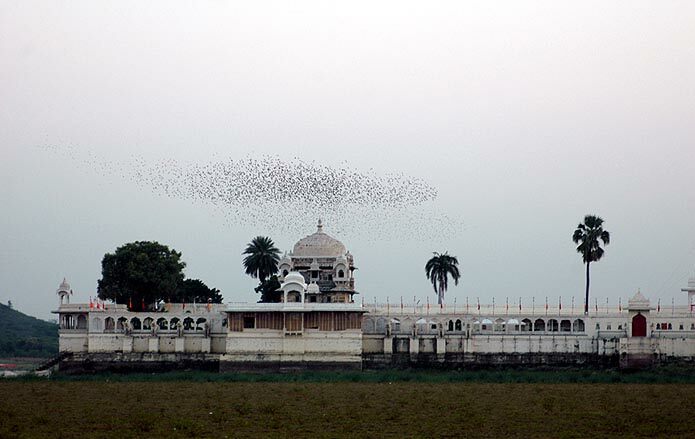 Mystical flocks of birds appear and disappear into the Invisible at Jagmandir Palace. 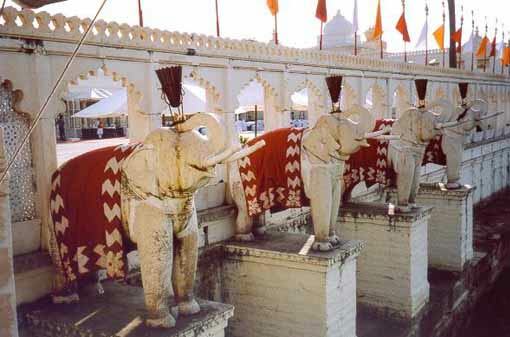 Eight stone elephants are Guardians of the palace walls. 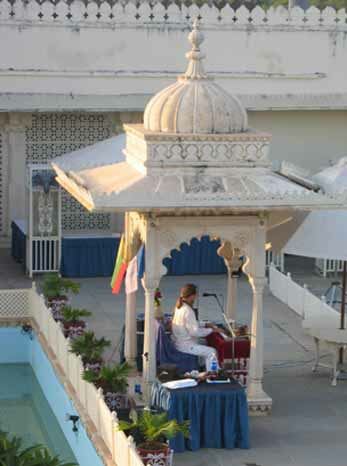 Omashar's music helps take us deeper. 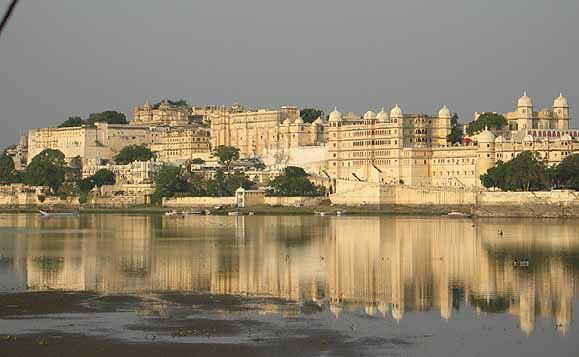 The stunning view of Udaipur across the lake from Jagmandir Palace.